Within a large organization, every documentation project involves members of a team. The team meets regularly for briefings, updates, brainstorming sessions, discussions. Finally the project is born. It may be a training manual, a software instruction manual, a new product/service press release, a corporate image document, or quality assurance documents. Many of our clients like to do some translating themselves. But it's helpful to have the assurance of a professional review for important or public material. Having fresh eyes look at a translation is always a good idea. Why? Because this ensures the absolute best quality. A proofreading of a translation uncovers typos and grammatical errors. Stylistic improvements are made and the text is fine-tuned, giving a better flow and making the message even clearer. Proofreading of the original text: We can proofread texts written by non-language professionals within your company. Proofreading of translations: This proofreading consists of comparing the source text with the translated text to ensure that the content of the source text is conveyed accurately in the translation. The proofreader will, of course, correct spelling errors, incorrect terminology, grammatical errors as well as poor construction of sentences. We also proofread texts that have not been translated by Redline Language Solutions. Redline will make sure your communications are first-rate. 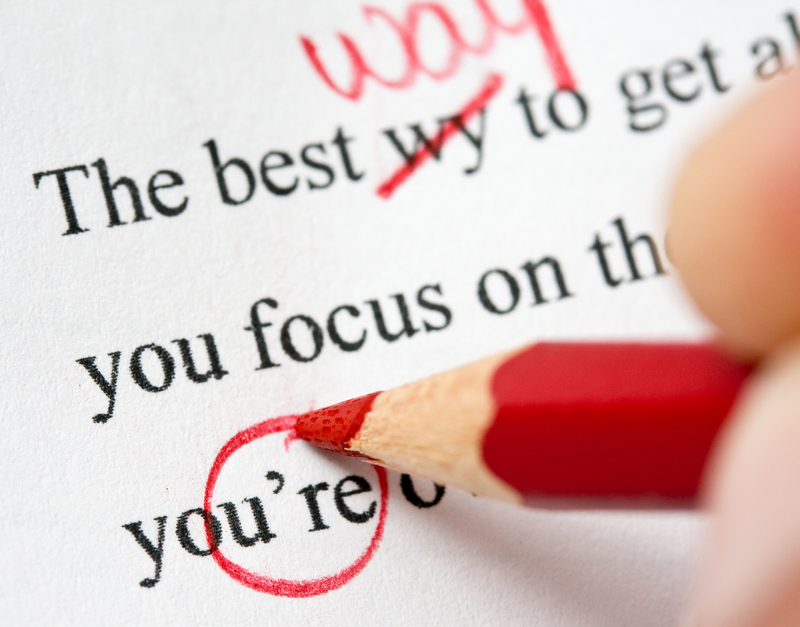 Our editing and proofreading services are all about expertise and attention to detail. Because we know every term, every symbol, every aspect of grammar, syntax and style must be perfect. ​We provide a fast, reliable and private service. Send a sample page of your work, together with the date you require the corrected work and you will receive a reply and exact price within 12 hours. We will also send you information about our payment methods (bank-transfer or International money transfer). Proofreading and editing for both native and non-native speakers of English. We edit and translate all kinds of English language texts. Most of our work involves the editing of business reports, academic and scientific/technical papers, dissertations and theses, but we will work with any text in English. By using our service your documents will have a professional look. We guarantee care and attention to detail. We can give your document a final polish or rewrite it completely from a rough draft. Appropriate vocabulary, style and level of formality. Clarity and precision of expression. Redline Language Solutions puts consultancy first by helping you define your proofreading and editorial needs; only then does our team of proofreaders and editors meet those needs. All our proofreaders are native tongue translators and work in accordance with Redline Language Solutions linguistic style guide, which is modeled on the standards for spelling and punctuation, set forth by the respective Language Councils.